Are you doing anything special for leap day? This is an extra day that we have to get some things done that we don’t usually have time for. Good thought. Let’s just see how that all pans out!! Me? I’m going to work, running errands, all the usual stuff. I’ll let you know how much of that extra stuff that I get done. Do you keep up with American Idol? Every year Madison and I pick the one that we think will win. We start from the beginning of the show. This year I picked Phil Phillips. What an amazing talent! But I told her she could pick another one. I have more pictures of the vacation I was just on, I am having difficulties getting them off the camera and onto the computer!! Yes, we did make it back from the Eastern Caribbean. I am having issues with my camera downloading to the computer! So here are a few pictures of our visit to San Juan, Puerto Rico. This is a picture of the beach and a little waterfall. This is “Old San Juan”. All the white that you see is the cemetery. These are pictures of the fort. The streets are very narrow there. Even for walking! We found a little cigar shop where they were making them right there in front of us. They told us that they sell an average of 200 cigars a day. We even did a little planking in Puerto Rico!! I am in love with this gray bedding. It is from Restoration Hardware. Just waiting for a sale!!! Yes, Big Ran is taking me on a cruise in the Bahamas. We have been on 2 previous cruises. First we will fly from Kansas City to Ft Lauderdale, Florida, then we will go to Miami to board the ship. 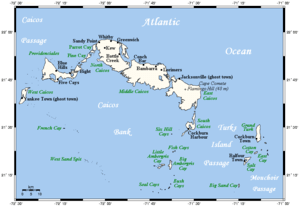 The islands that we will be visiting are Half Moon Cay, Bahamas – St.Thomas, U. S. Virgin Islands – San Juan, Puerto Rico – Grand Turk, Turks & Caicos Islands. I will take lots of pictures and I am sure that this one is the best picture that you will see on this blog. There are about 30 people going with us on this cruise, family and friends.